Sue Cowdrick was looking to get more business, and was presented with the usual offers from the phone book providers, and their online web directories. After looking at the prices and analyzing the potential value, she decided to pass. 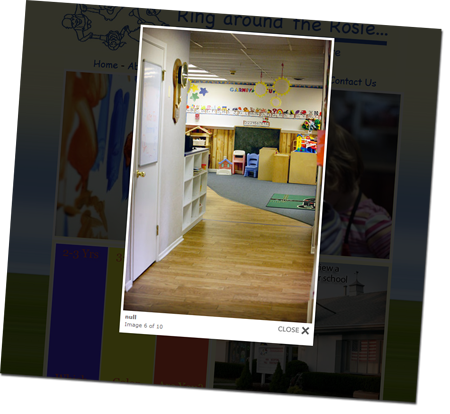 Like most small businesses, Ring Around the Rosie Preschool was looking for a modern solution to getting found. Located in Toms River NJ, Sue was surrounded by some pretty stout competition. Taking this into consideration, we devised a strategy that will both get her found using Google and Yahoo. Starting in late 2011, this campaign will run for a full year. 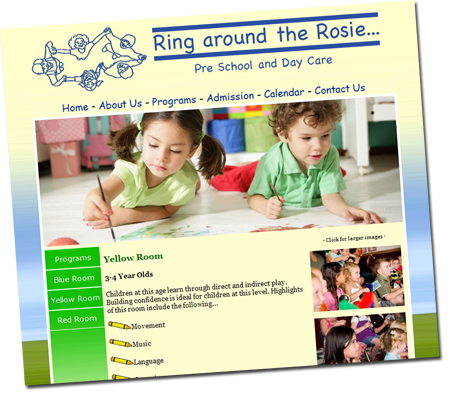 We expect Ring Around the Rosie to be competing on the first page very soon! Visit her site below to learn more about their services.